Sweet. $1065 total on $0.50!! That is always a good day. Congrats! That is a crazy 2130X your line bet. WOW. That is what I'm waiting on Scott to hit while playing $75 a spin. Went out to celebrate my sons birthday by taking him to the casino. Had a pretty decent night. Some wins....Would have been a great night if I had of stayed away from Big Red and Lock it Link. 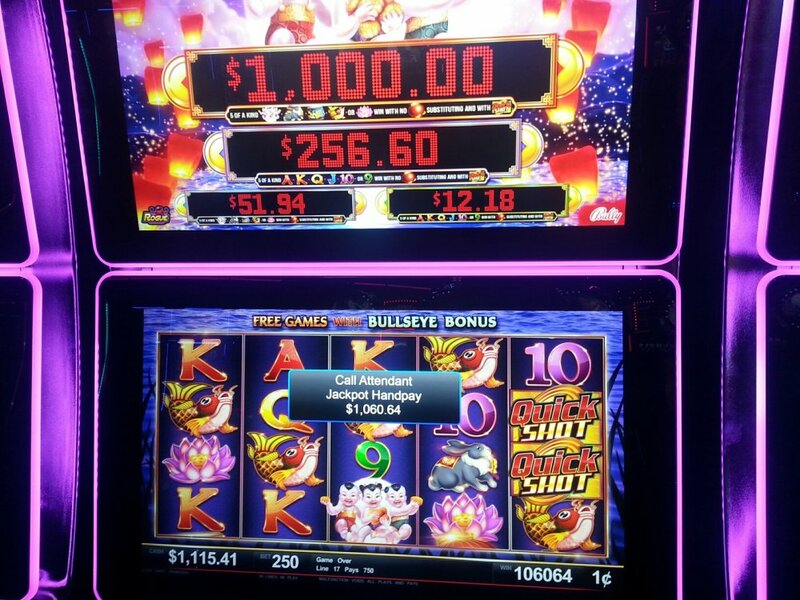 My son hit the $1060 one. I hit the $1305 playing 5 cents denom and the $993.50 playing a dime. Ya, talk about beginners luck. Mini Boom for my baby boy. I gave him $100 to play while I played Timberwolf. 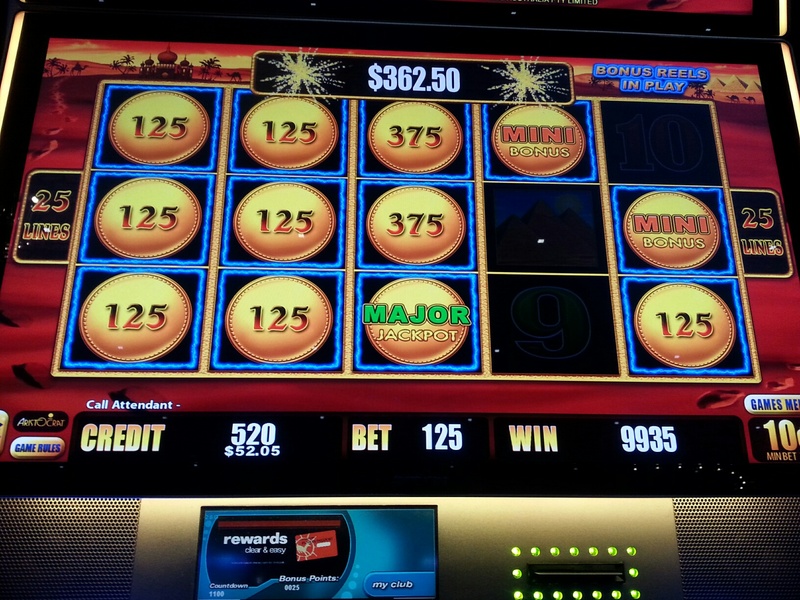 He wasn't even $50 in when he hit the major progressive on a $2.50 bet. Afterwards he played the timberwolf next to the donation factory I was playing and he got a bonus. Not being greedy he chose 21 spins and retriggered FOUR TIMES!!! 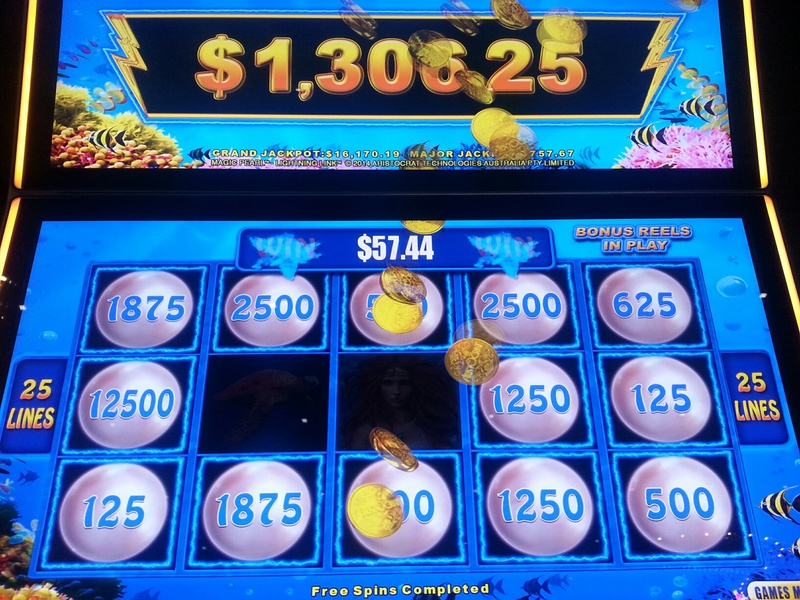 I thought for sure it would end up being another handpay but it ended up with mostly dead spins amounting to about $600 almost entirely from the trigger pays. Needless to say, now he wants to go back.